Mr. Nabil Habayeb is a veteran professional at General Electric (GE) with over three decades of experience in senior managerial positions, Nabil Habayeb is the President and CEO of GE Middle East, North Africa & Turkey (MENAT) since 2004. Passionate about improving the lives of people in the region, Nabil leads GE’s operations with a particular focus on complementing the countries’ developmental goals. Working in close partnerships with customers, governments and communities, he has aligned the company’s regional strategy to help solve the MENAT countries’ toughest challenges. Addressing the need for sustainability, Mr. Habayeb has put a strategic emphasis on helping countries meet their increasing demand for energy and clean water. Among his recent achievements at GE is the building of six power stations in Algeria, which has created an excess of 1,000 jobs. In fact, GE supports the generation of more than two-thirds of the region’s electricity, bringing light to millions of homes. And every day GE brings 800 million liters of clean water to communities across the Middle East and North Africa. However, as a result of the growing population, the region requires more infrastructure than just energy and water – governments also need to develop efficient healthcare and transportation systems. Mr. Habayeb has built partnerships with Ministries and customers to address these needs. An example of this is the launching of mobile clinics as part of the Breast Cancer Screening Program in partnership with the Saudi Ministry of Health. Mr. Habayeb has also put a big focus on local talent development, local innovation and diversity. Over the past 5 years, GE has doubled its workforce in the region, while increasing local talent ratio from 45% to 72%, targeting 80% in 2017. Simultaneously, the promotion of gender equality plays an important role. In September 2015 the first class graduated from the “GROW” program that GE has to develop local females to leadership roles. In addition to his responsibilities at GE, Mr. Habayeb also serves on the boards of INJAZ Al Arab, the Arab Gulf States Institute in Washington (AGSIW), the Arab Forum for Environment and Development and the US–Saudi Business Council. 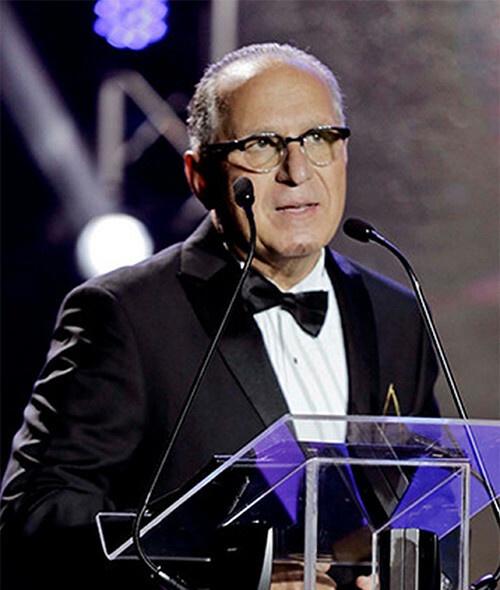 He is also a trustee of the Balamand University, and the American University of Beirut.